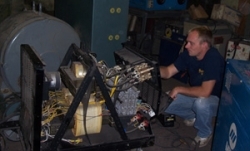 Since 1978, Kelsey Electric Motor Service, Inc has been providing its services to residential, commercial and industrial establishments in Central North Alabama and South Middle Tennessee. 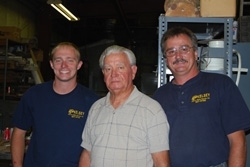 We are a third generation family-owned and operated business that is customer-oriented. We pride ourselves in being one of the most trusted and recommended motor and pump repair companies in Huntsville, Alabama. We are members of the Better Business Bureau of North Alabama and EASA – Electrical Apparatus Service Association. At Kelsey Electric Motor Service, Inc, we realize that we owe our success to the hundreds of satisfied customers who have become the heart and soul of this company—without them we would not have lasted in the industry for over 30 years. Our number one objective is to always provide our customers with quality, friendly service, knowledgeable experienced technicians and a level of customer service that meets and exceeds their expectations.